The group participated in a series of outreach events. Check out the Outreach page for photos from Reverse Engineering, the Genius Girls Gathering and Science for March 2019. Professor McKeon has joined Physical Review Fluids as an Associate Editor. Professor McKeon stepped down as Editor-in-Chief of Experimental Thermal and Fluid Science at the end of 2017. 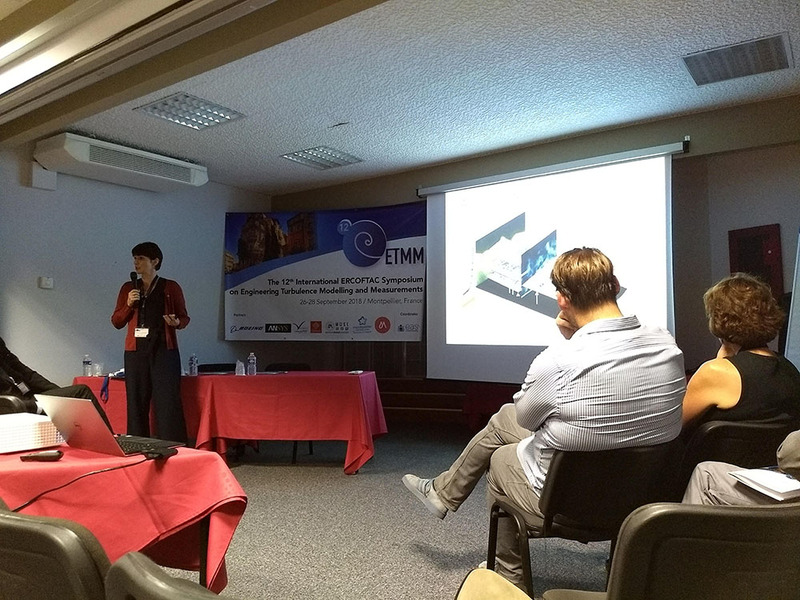 Professor McKeon joined the Executive Committee of the International Symposium on Turbulence and Shear Flow Phenomena. Members from the McKeon group participated in the Science for March event at Caltech on March 31. Graduate student David Huynh gave a Ted-style talk entitled “You don’t have to be a rocket scientist to think like one”. 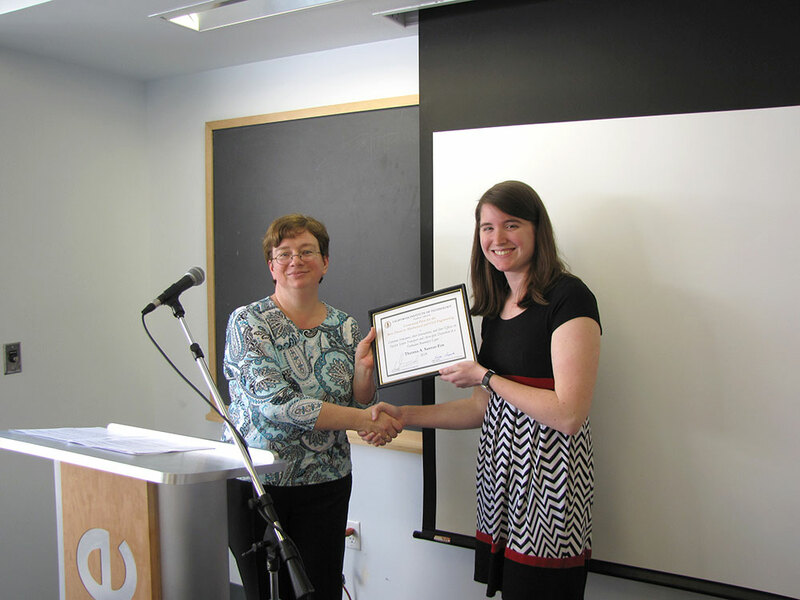 CONGRATULATIONS to Dr. Tess Saxton-Fox for successfully defending her thesis. 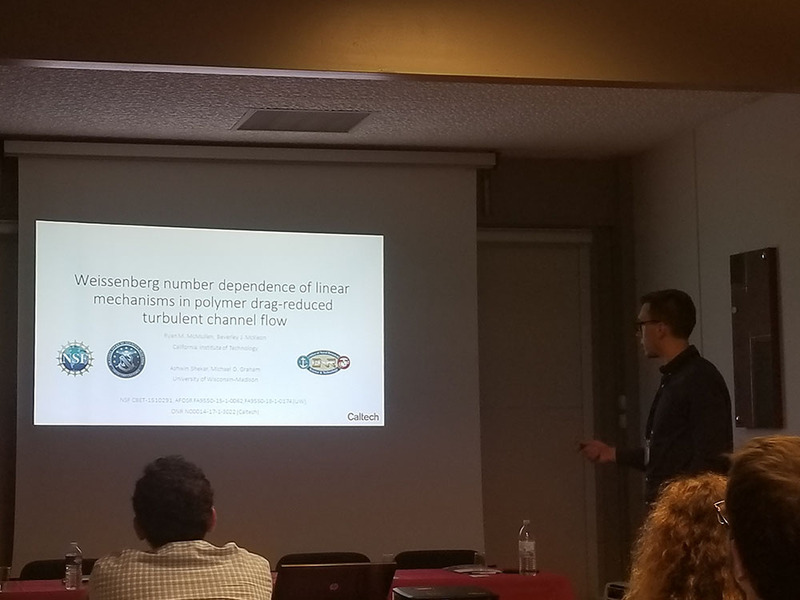 Professor McKeon gave an invited plenary talk at the Turbulent Shear Flow Phenomena 10 symposium in Chicago, entitled “Synthesizing turbulence”. Ben and Morgan received their M.S. 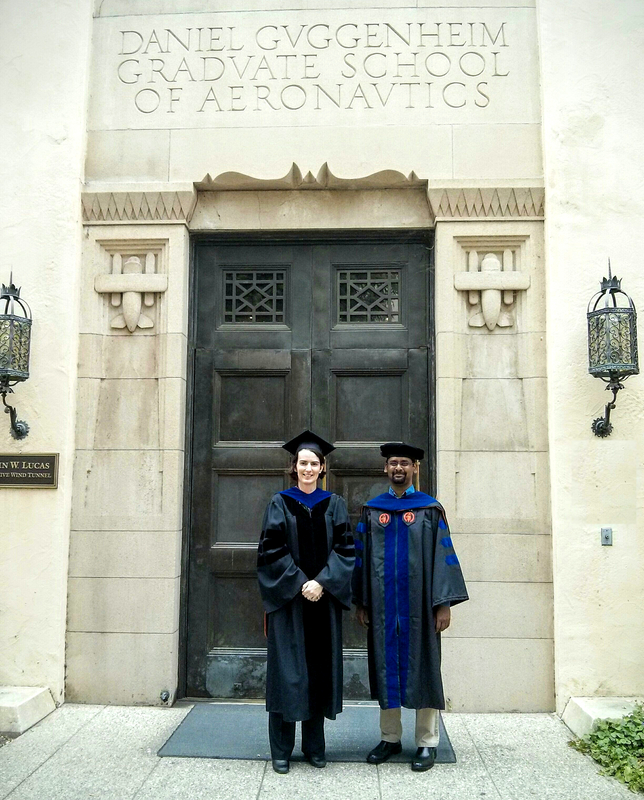 degrees in Aeronautics at today’s Commencement ceremony, and Esteban received his Ph.D. Ben also received the Rolf D. Buhler Memorial Award in Aeronautics for exemplary academic performance in the Aeronautics M.S. 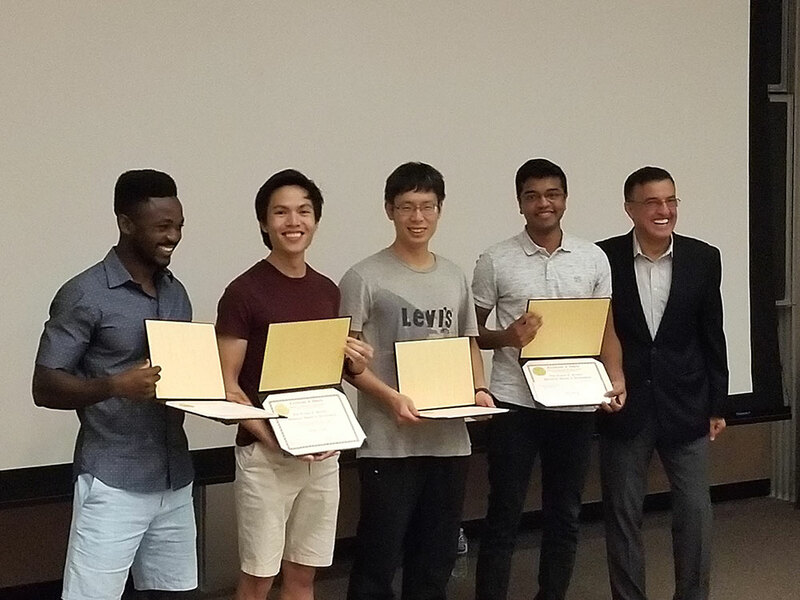 program, and Maysam was awarded the Charles Babcock Memorial Award for achievements in teaching and contributions to the academic program. Congratulations, all! CONGRATULATIONS to Dr. Esteban Hufstedler on his successful thesis defense! GALCIT’s partnership with Base-11 appears in a New York Times Higher Education section story on innovative skills gap-bridging programs. McKeon group members presented at the APS-DFD meeting in Portland. Congratulations to our graduates! At Commencement today, Reeve and Subbu received their PhDs, and Maysam and Simon the M.S. in Aeronautics. Congratulations to Dr. Subrahmanyam Duvvuri for successfully defending his thesis. Professor McKeon has been appointed to the Editorial Committee of the Annual Review of Fluid Mechanics. Professor McKeon was featured on Radio Eireann. CONGRATULATIONS to Dr. Reeve Dunne for successfully defending his thesis. Professor McKeon became an Editor-in-Chief of Experimental and Thermal Fluid Science. David Huynh received the Shirley Thomas Scholarship from the Aerospace Historical Society during the 31st Annual International von Karman Wings Award dinner. The scholarship is awarded annually to a student in aerospace engineering or a related science that shows promise for continued future contributions to the field. Congratulations, David! The sustainability implications of our work on turbulent drag reduction were featured in a Thomson Reuters documentary on the Resnick Institute. Professor McKeon has been appointed to the Editorial Advisory Board of the AIAA Journal. Can you spot Professor McKeon's cameo appearance in the new AIAA promotional video? Professor McKeon has been appointed to the Editorial Advisory Board of Physics of Fluids and will serve as an Associate Editor, effective January 1st 2014. Professor McKeon was elected as an Associate Fellow of the American Institute of Aeronauticss and Astronautics (AIAA). The work of the McKeon group was featured in an article in Engenious. Dr. McKeon's work with Dr. Ati Sharma was featured in a Focus on Fluids article in the Journal of Fluid Mechanics written by Prof. Joe Klewicki of the Universities of New Hampshire and Melbourne. 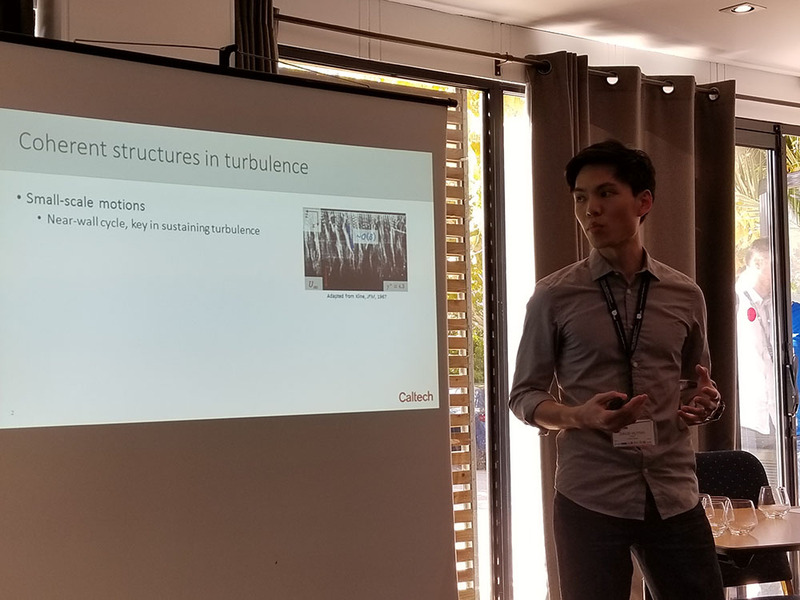 Dr. McKeon presented an invited talk, entitled "A systems approach to wall turbulence", at the 14th European Turbulence Conference (ETC-14) in Lyon, France. Professor McKeon joined the Editorial Advisory Board of Experiments in Fluids. Congratulations to our award winners! Ian Jacobi received the Richard B. Chapman Memorial Award in hydrodynamics, http://eas.caltech.edu/news/568, and shared the Donald Coles Prize. Subbu Duvvuri shared the Charles Babcock Memorial Award. Dr. McKeon was elected to the Executive Committee of the APS Division of Fluid Dynamics. Congratulations to Dr. Jean-Loup Bourguingnon on his successful defense of his thesis. Congratulations to Subrahmanyam who has been awarded a Resnick Fellowship. Today Dr. McKeon presents the Applied Mathematics Colloquium, 4pm in 105 Annenberg, her talk is entitled "Deconstructing (and Reconstructing) Wall Turbulence: A Systems Approach"
Today Dr. McKeon delivered the Frosh Camp "Science Talk" to the incoming year of Caltech Undergraduates. Congratulations to Dr. Ian Jacobi for successfully defending his thesis. 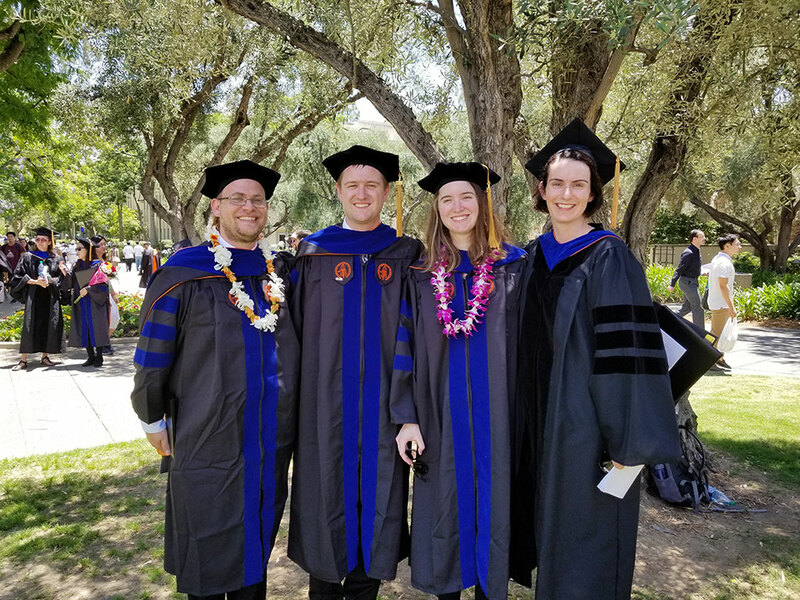 Congratulations to Dr. Jeff Lehew who collected his PhD at Caltech's Commencement ceremony. Professor McKeon delivered today's Watson Lecture, entitled "Taming Turbulence". The lecture may be downloaded in HD from Caltech's iTunesU site. Dr. McKeon gave an invited lecture, entitled "Experimental manipulation of wall-bounded flows", at the 64th APS-DFD meeting in Baltimore, MD. Second NSF workshop on "Friction: A Grand Challenge at the Interface of Solid and Fluid Mechanics" will be held May 13-15, 2011, in Pasadena (P.I. Beverley McKeon). Visit the website. Congratulations to Jeff LeHew on his election as an NSF East Asia & Pacific Summer Institutes (EAPSI) Fellow. He will work in the laboratory of Professor Haecheon Choi at Seoul National University for eight weeks this summer. Center for Bioinspired Engineering goes online. Dr. McKeon and the group ran some visualizations of flow over the new World Cup soccer ball, the Jabulani, and received wide press coverage (e.g. 1). Congratulations to Drs. Adam Norman and Dennice Gayme on their graduation. At the 2010 GALCIT Awards Ceremony Adam Norman won the Donald Coles Prize for the best design of an experiment and Jeff LeHew won the Charles D. Babcock Award for Teaching for his TA efforts in Ae104. Congratulations! GALCIT Awards 2009: Congratulations to Ian Jacobi, who won the Charles D. Babcock Award for Teaching for his TA efforts in Ae101. Caltech Classroom Connection visited the laboratories. See photos of Jean-Loup and Laura in action! Dr. McKeon participated in the Sally Ride Science Festival at Caltech. See photos of her workshop, entitled "Flying in Honey". NSF workshop on "Friction: A Grand Challenge at the Interface of Solid and Fluid Mechanics" was held March 13-16, 2008, in Montreux, Switzerland (P.I. Beverley McKeon). Visit the website. See the announcement of the issue of the Philosophical Transactions of the Royal Society A on 'Scaling and structure in high Reynolds number wall-bounded flows' guest-edited by Beverley McKeon.